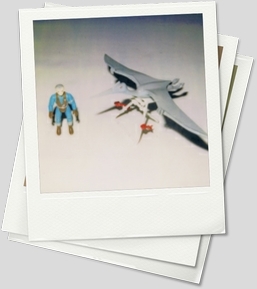 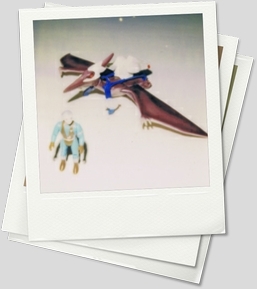 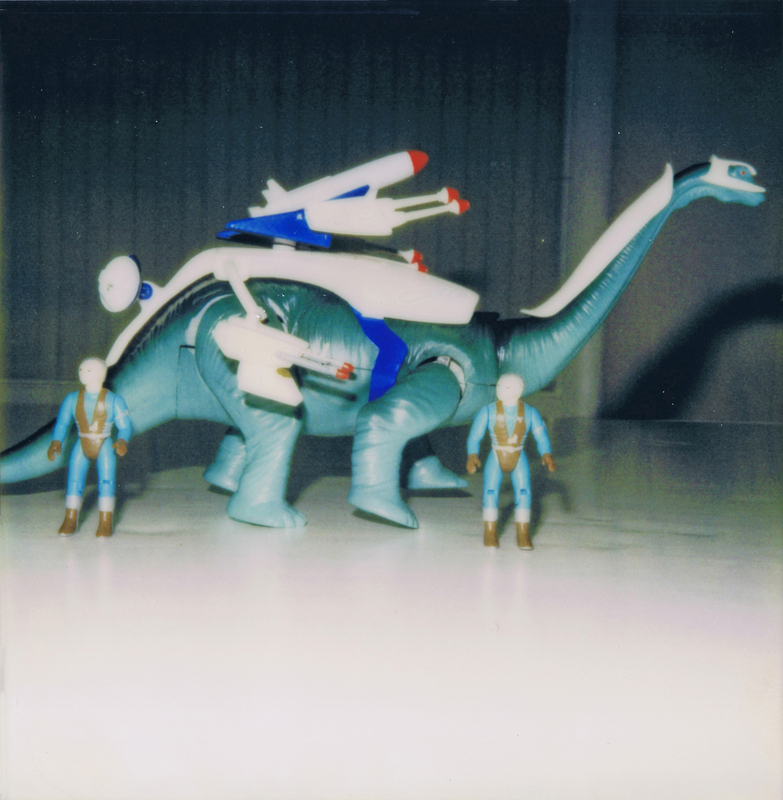 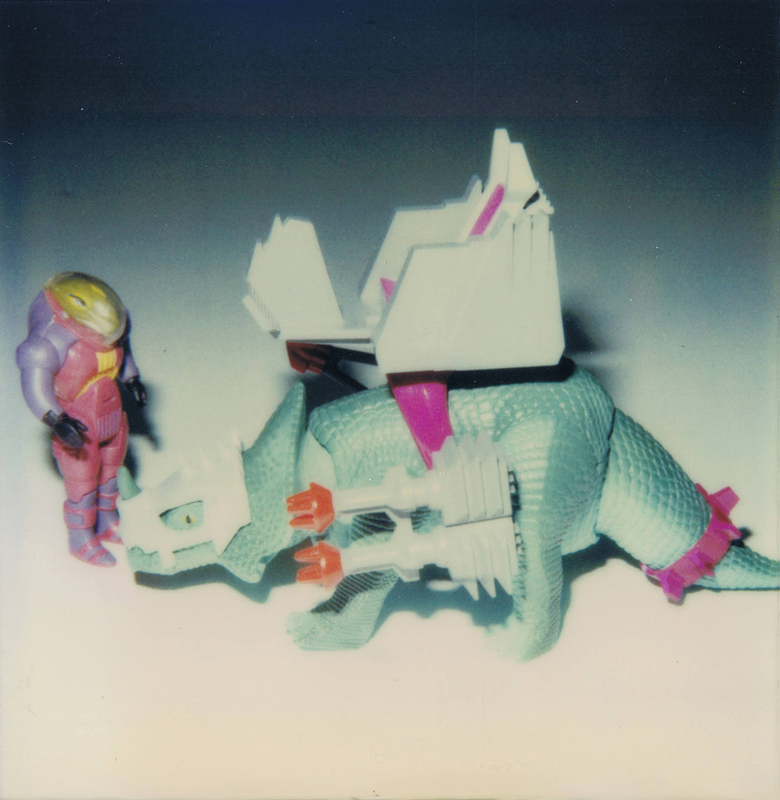 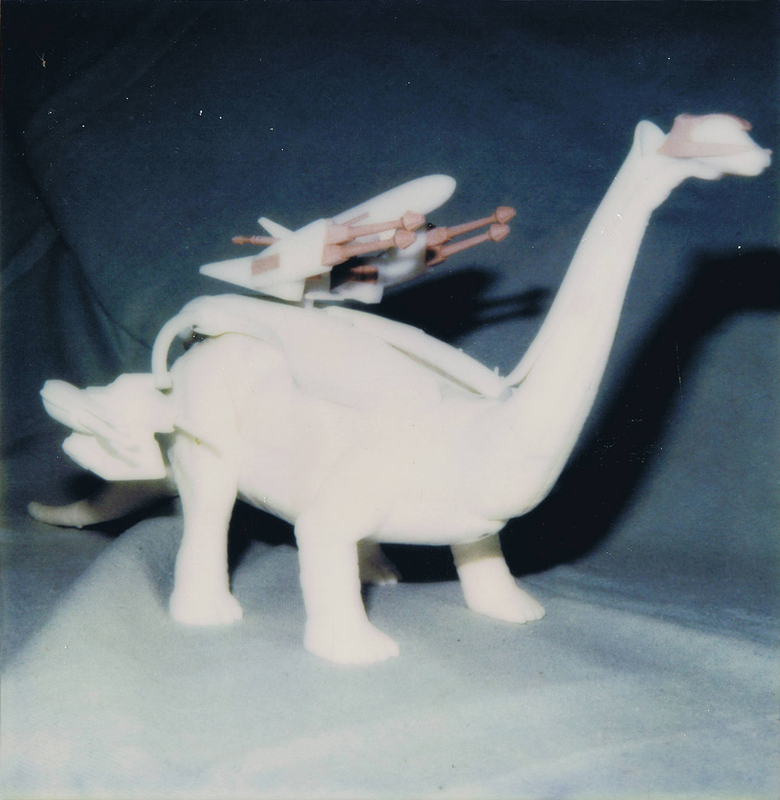 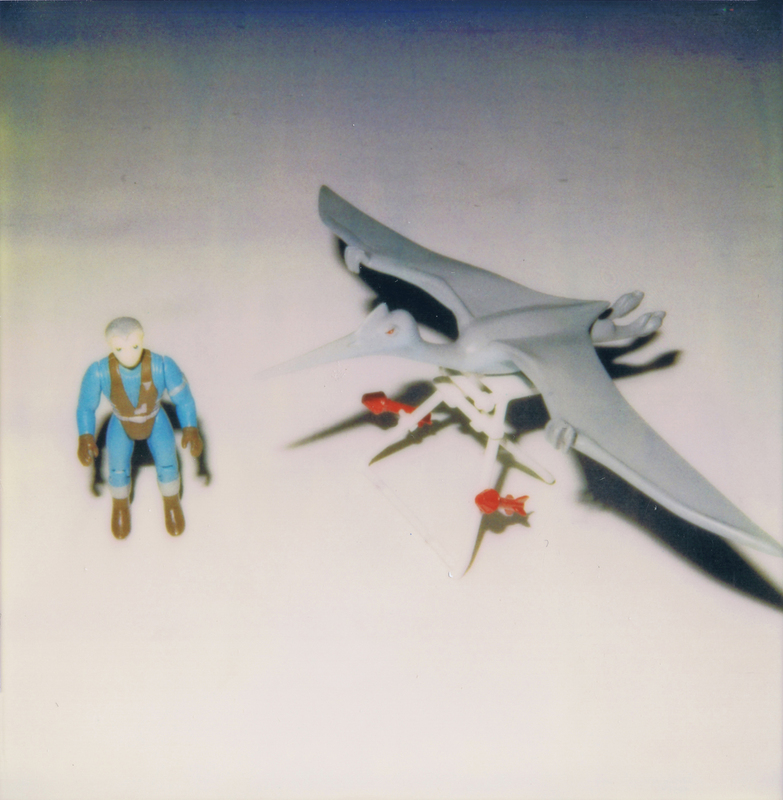 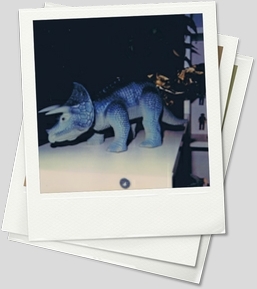 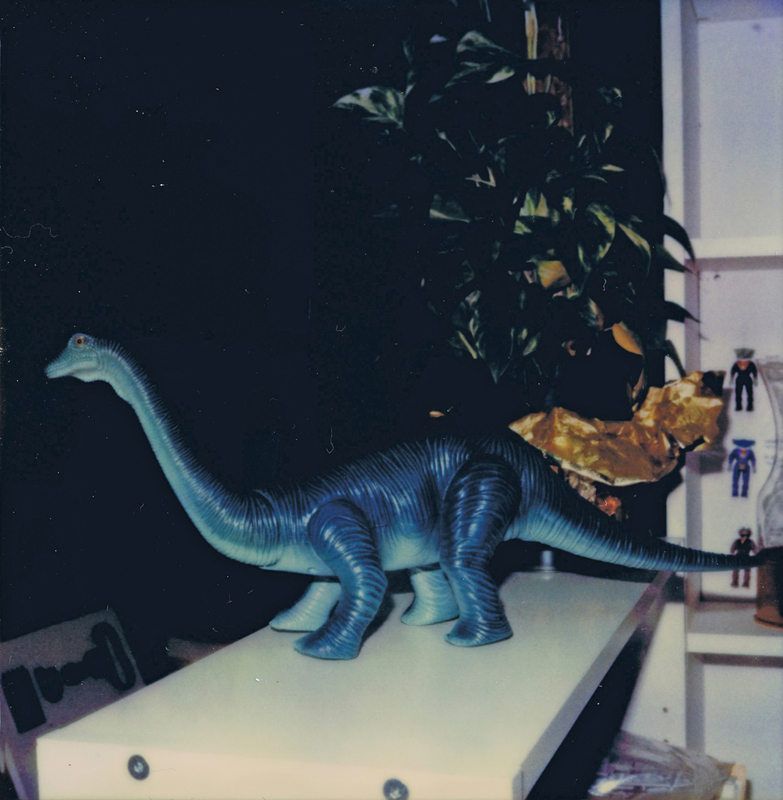 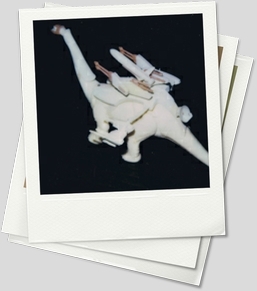 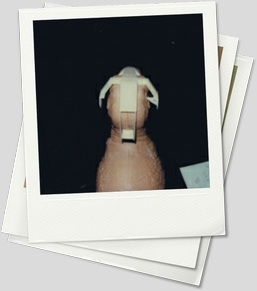 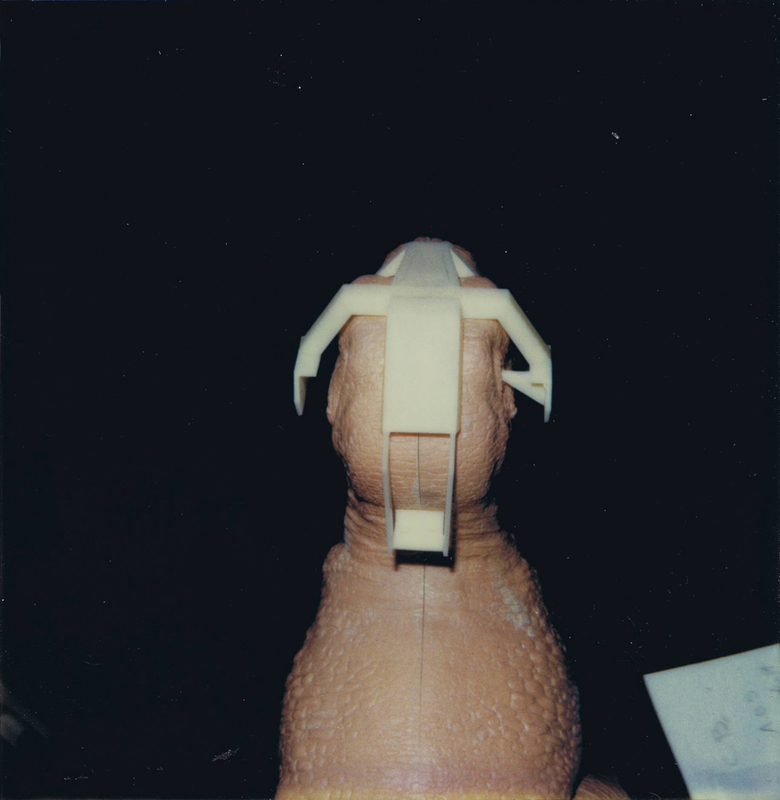 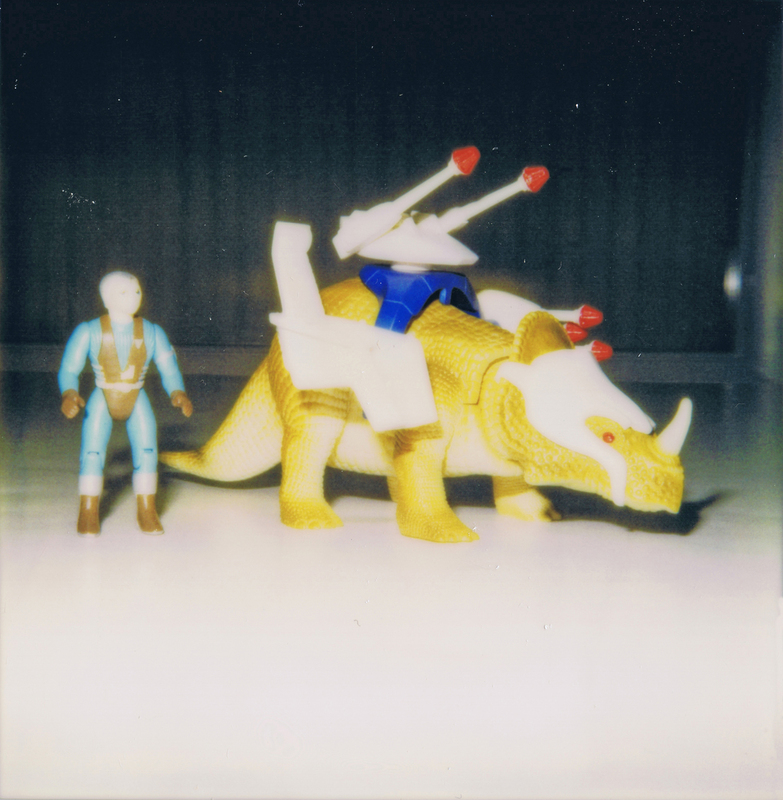 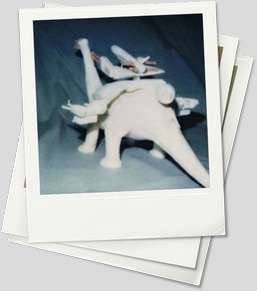 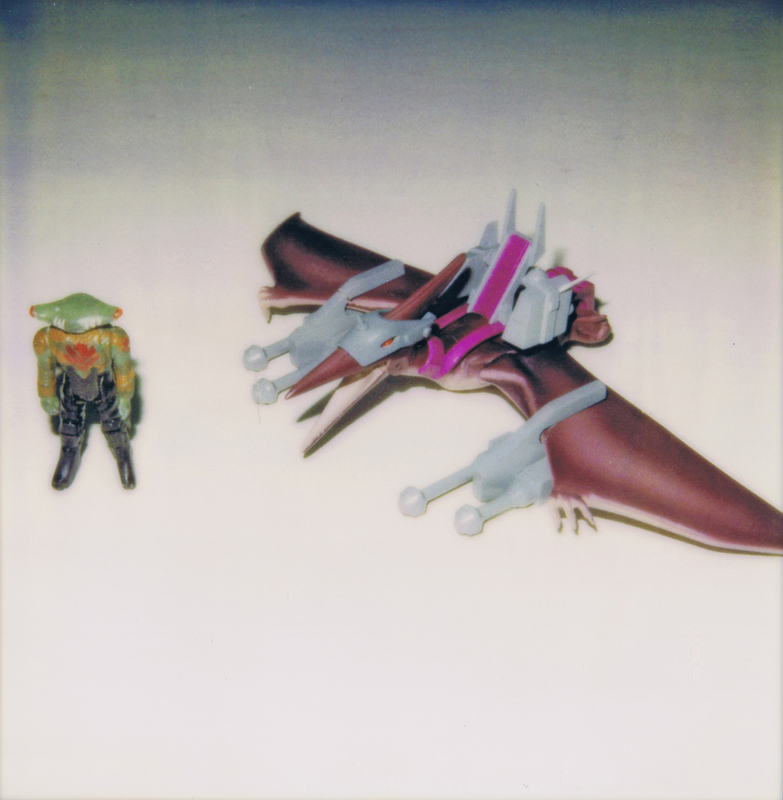 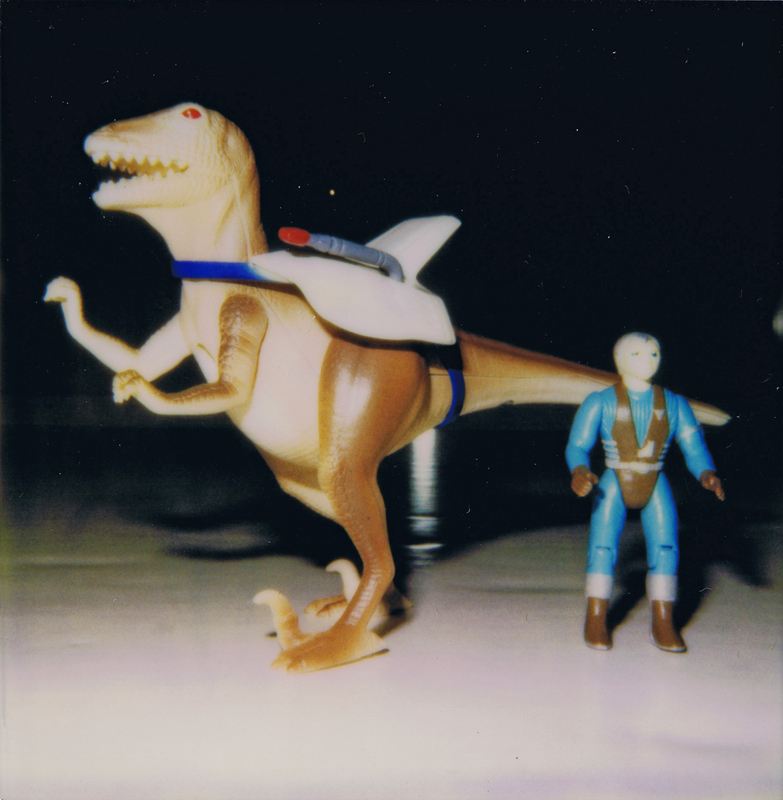 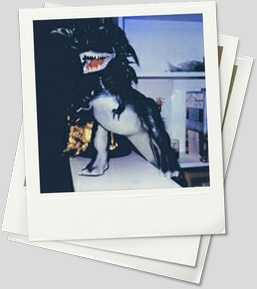 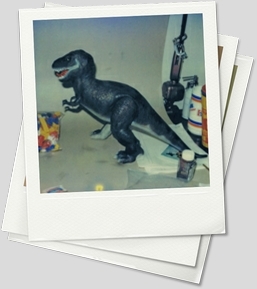 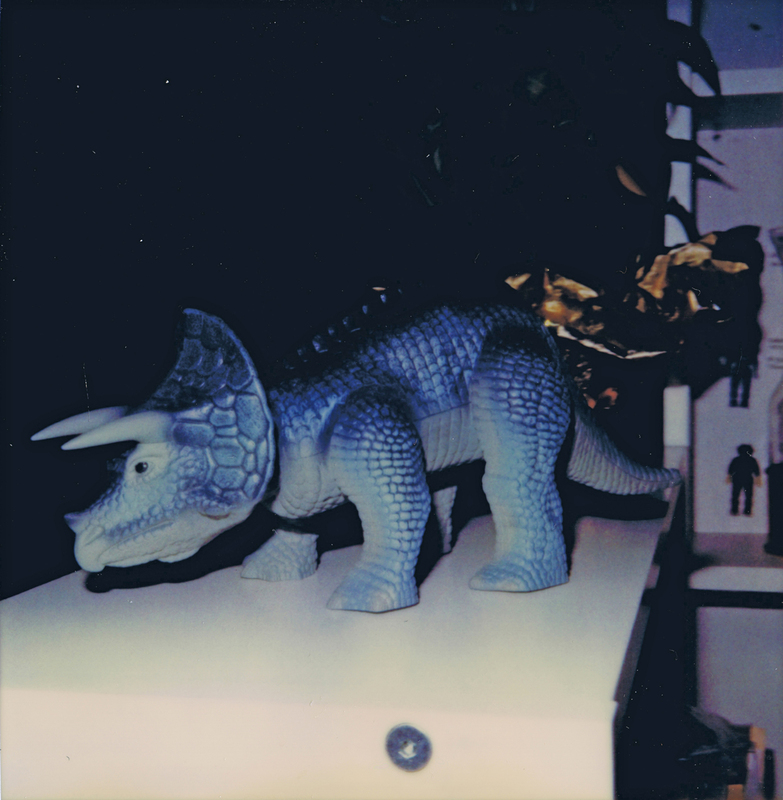 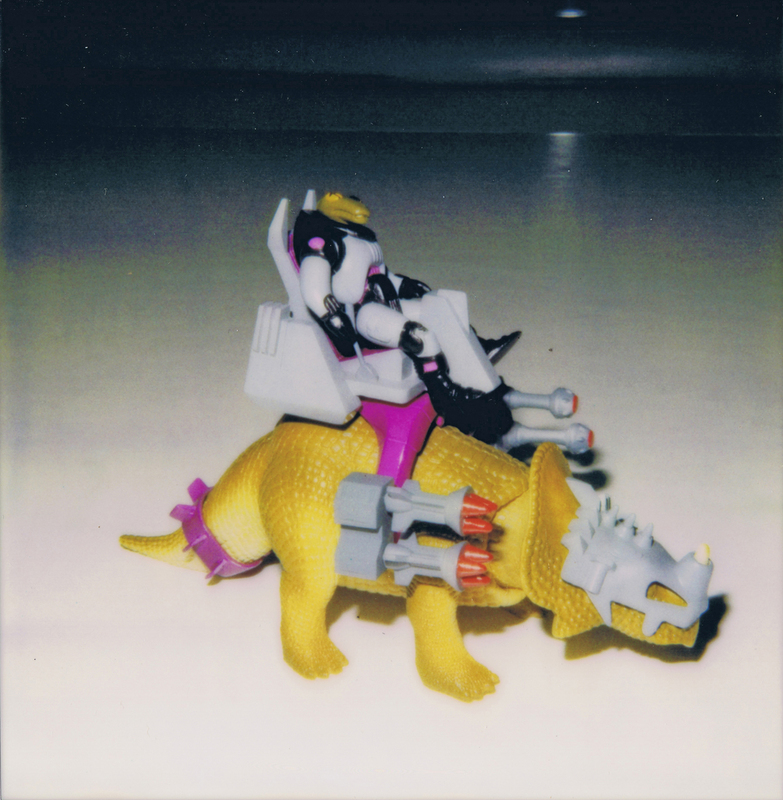 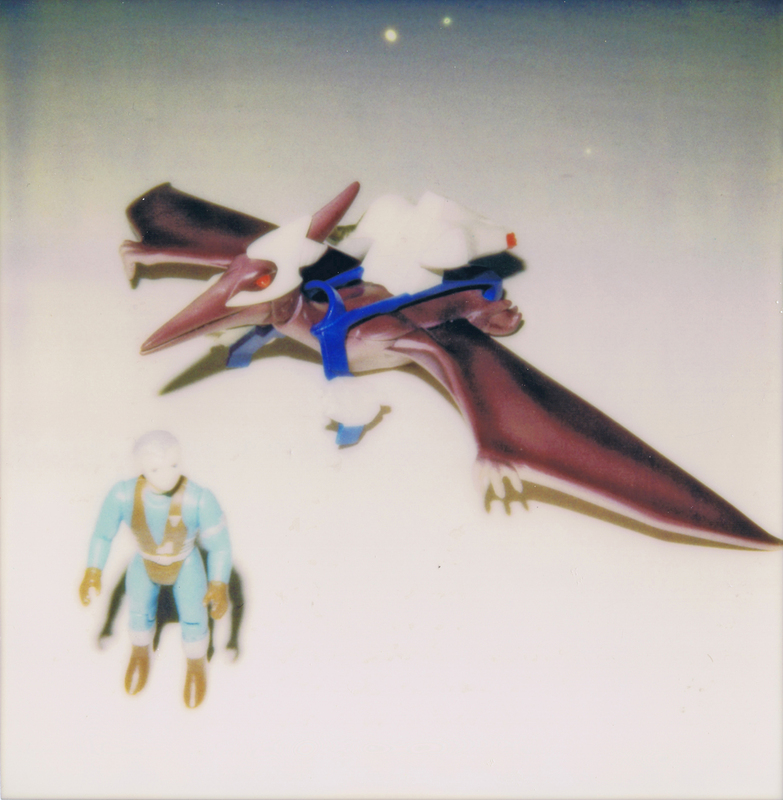 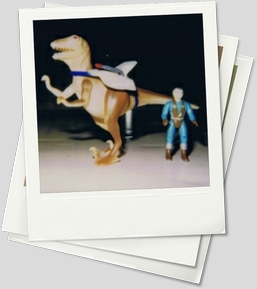 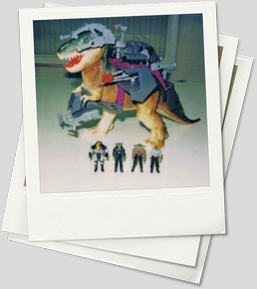 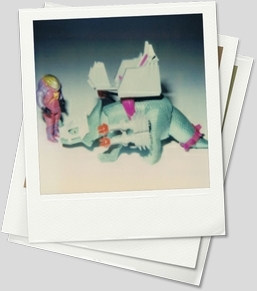 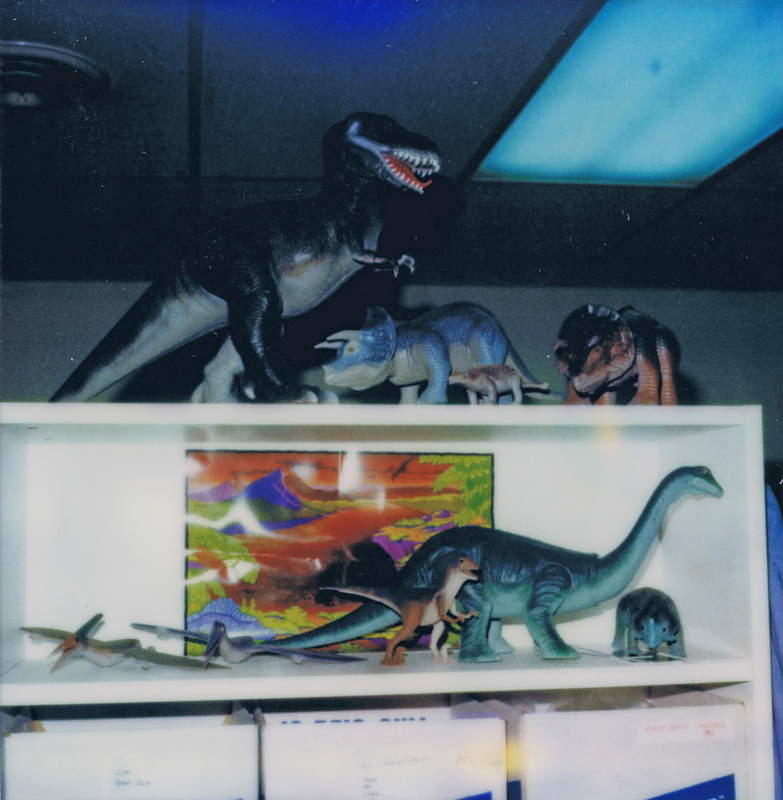 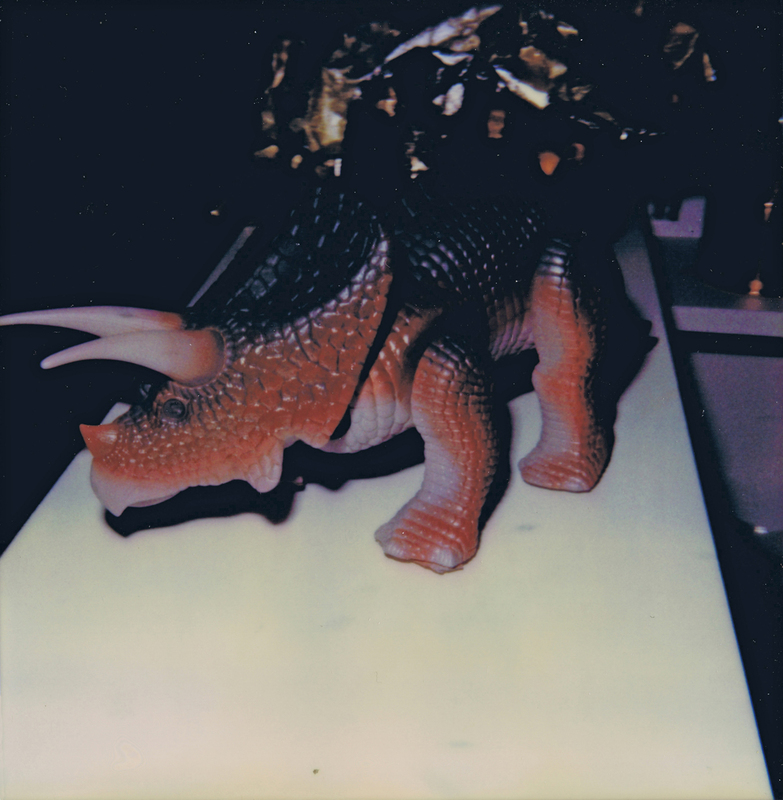 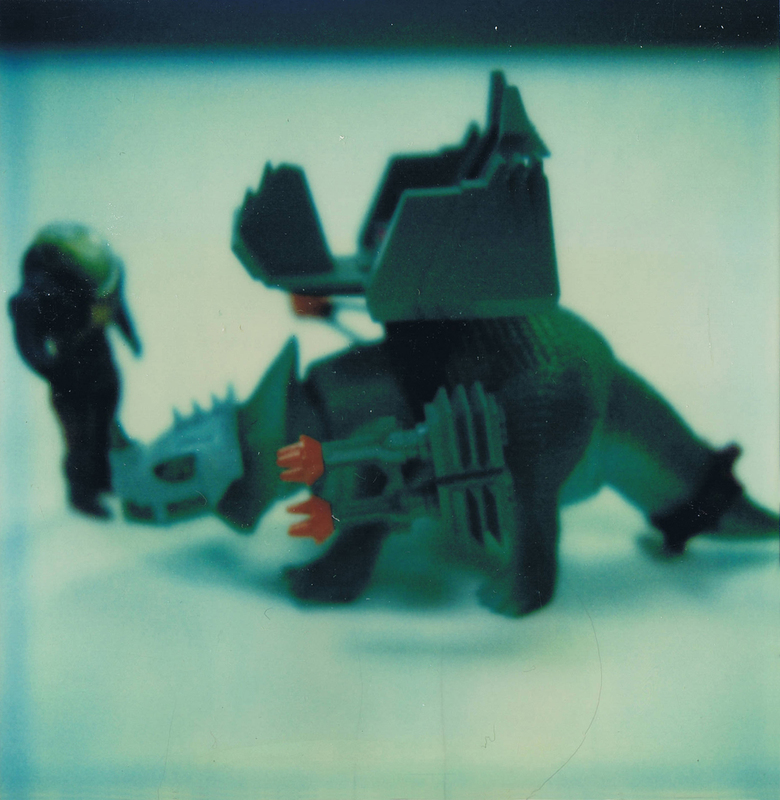 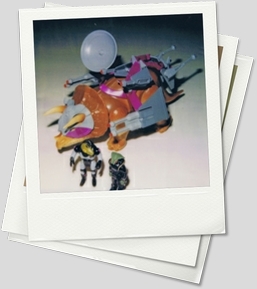 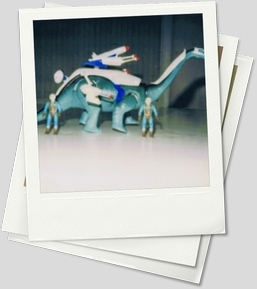 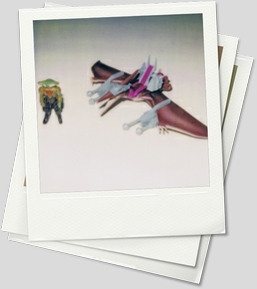 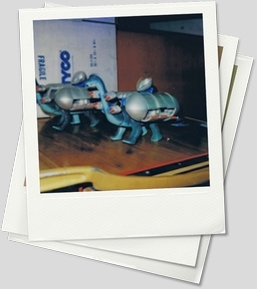 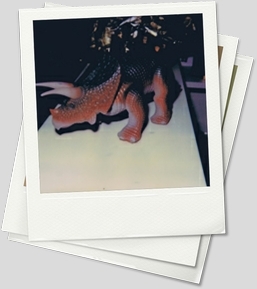 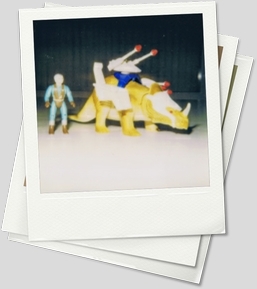 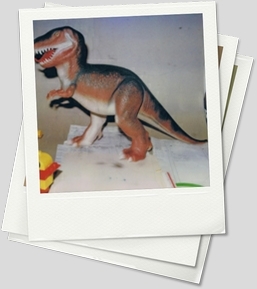 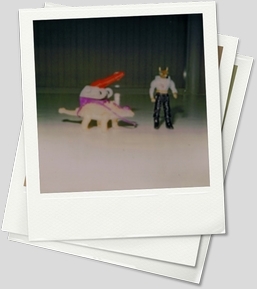 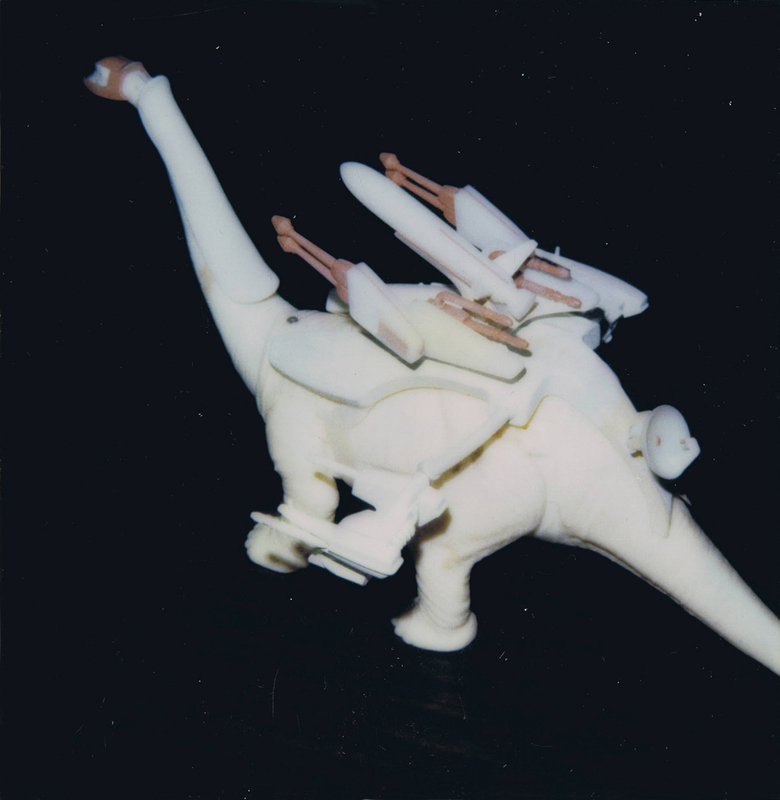 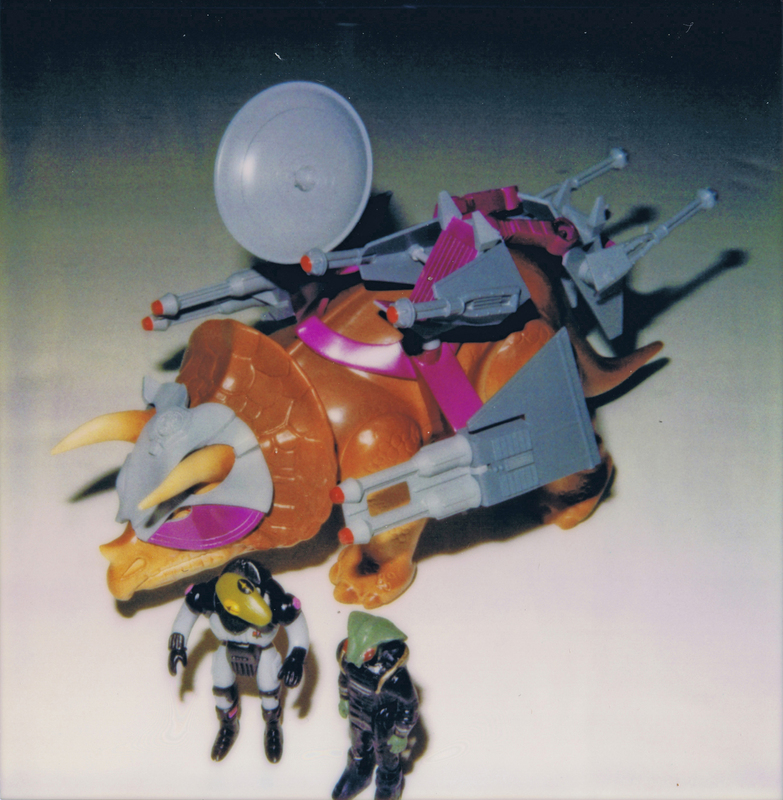 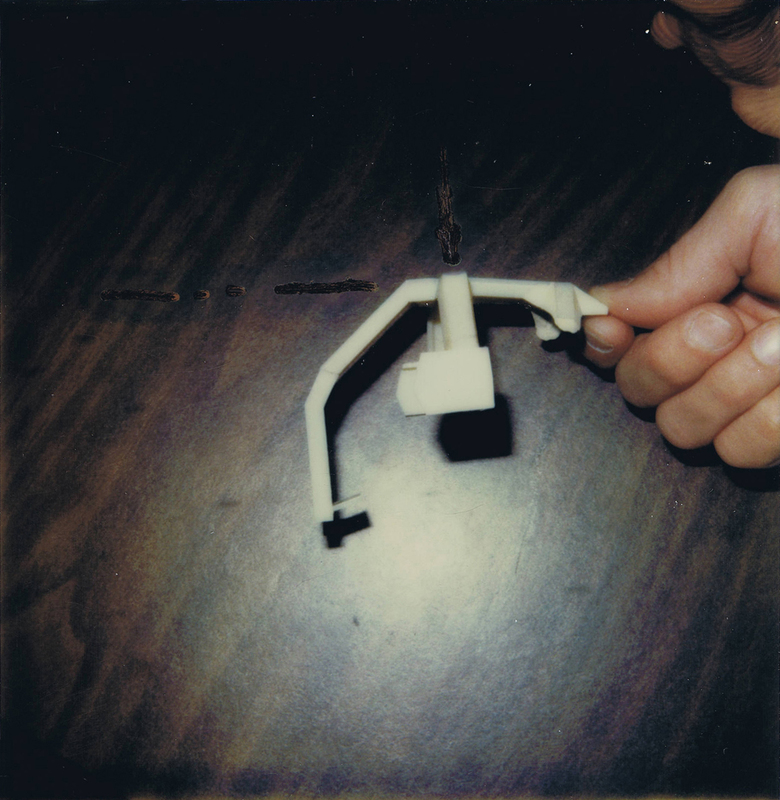 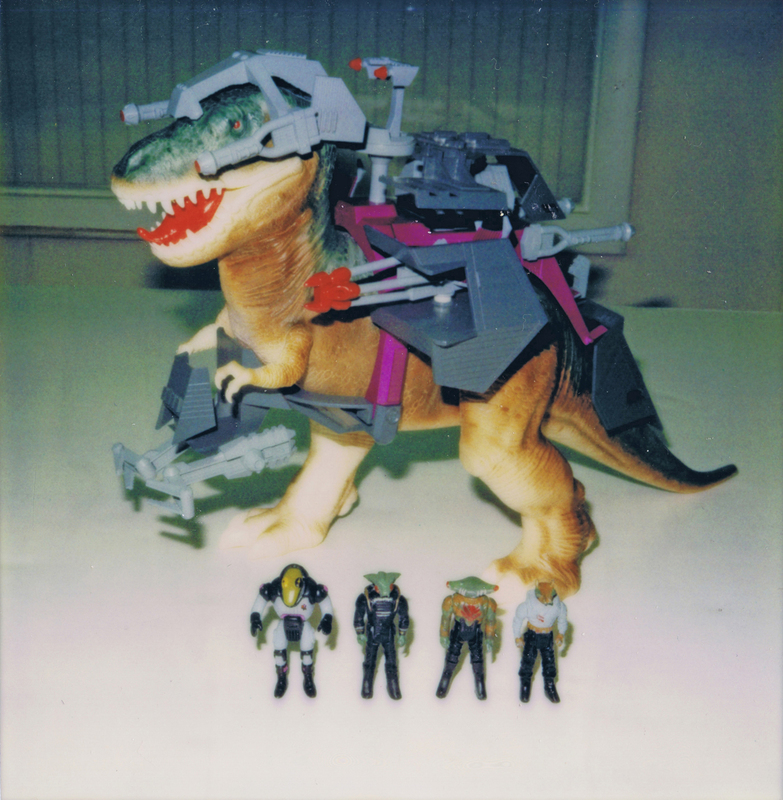 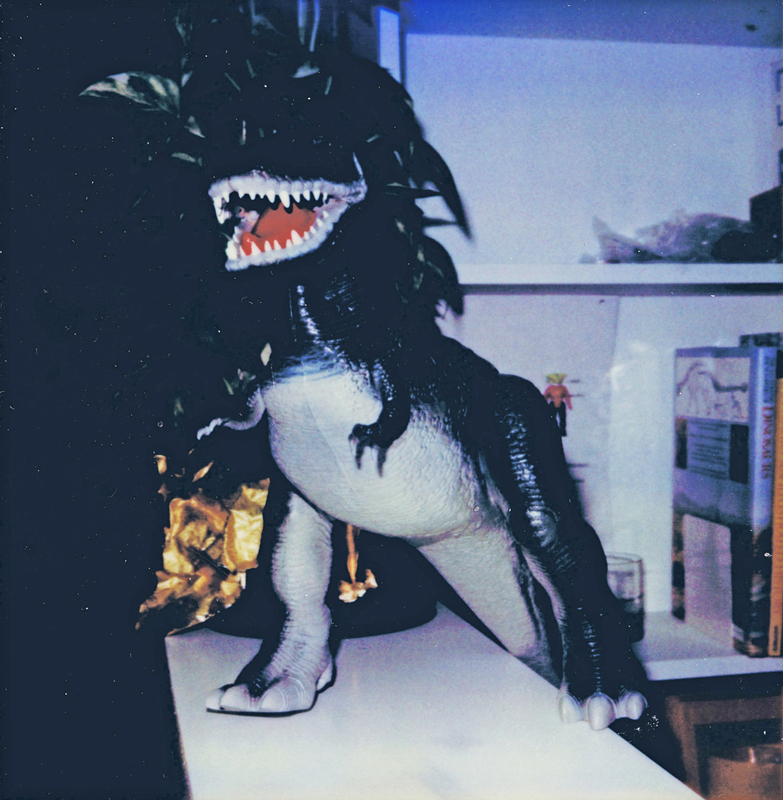 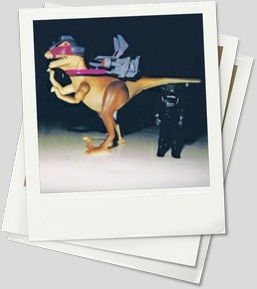 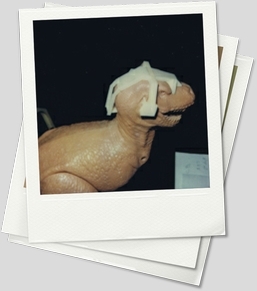 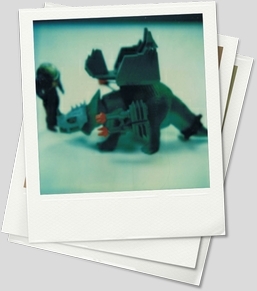 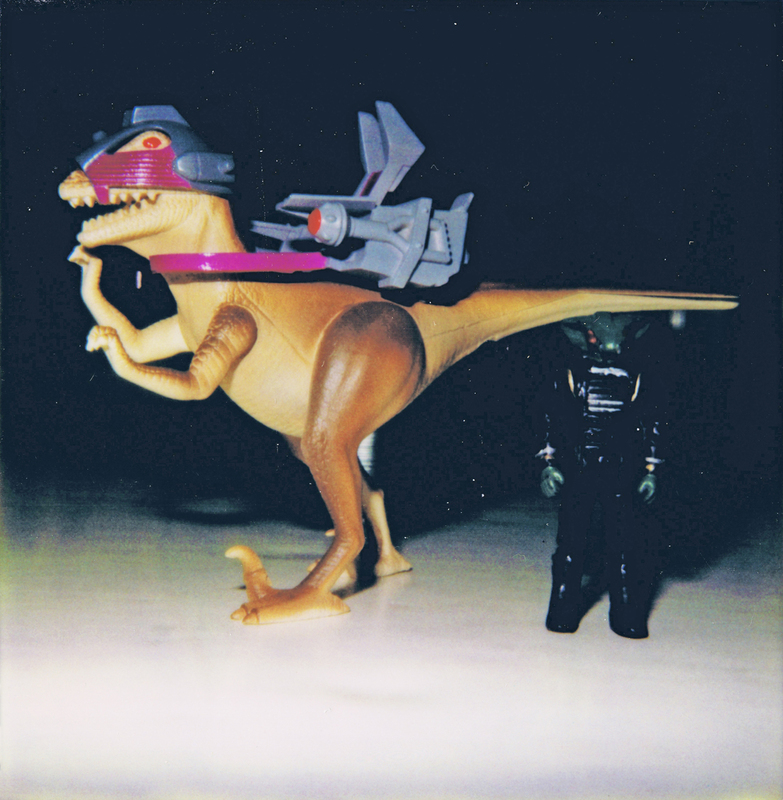 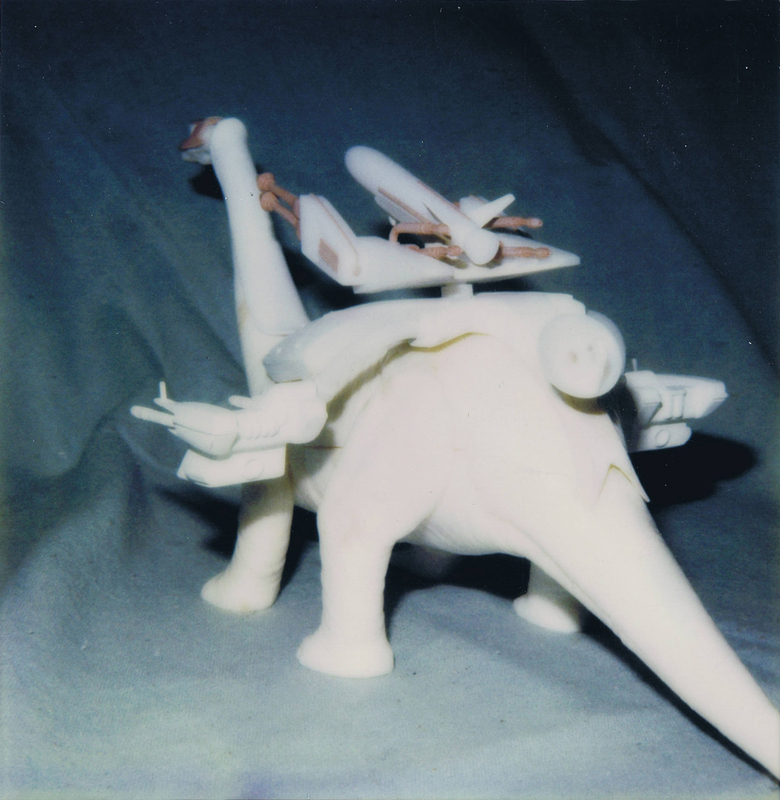 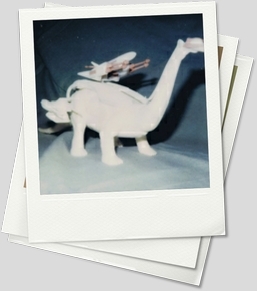 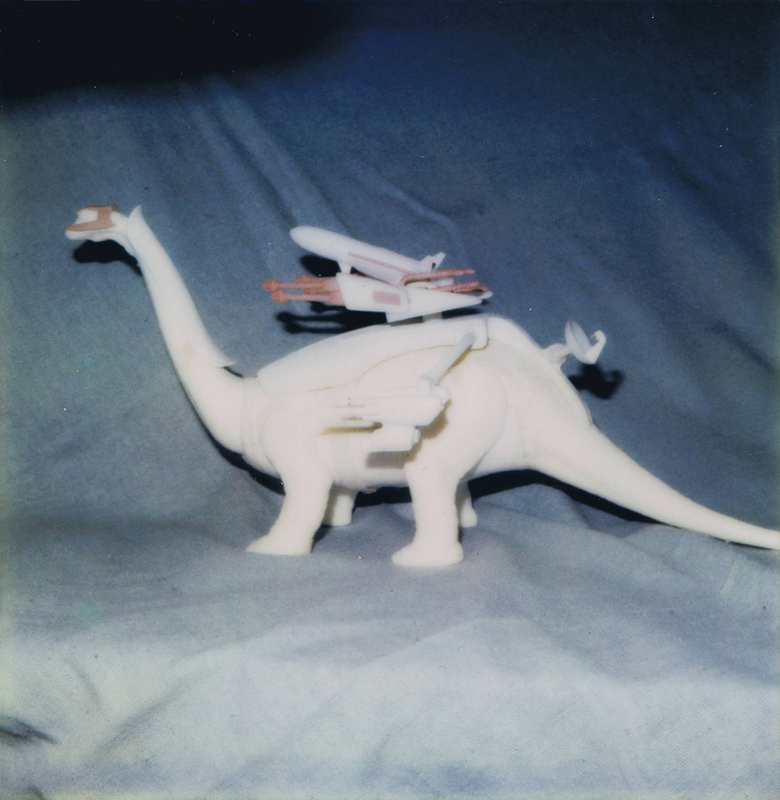 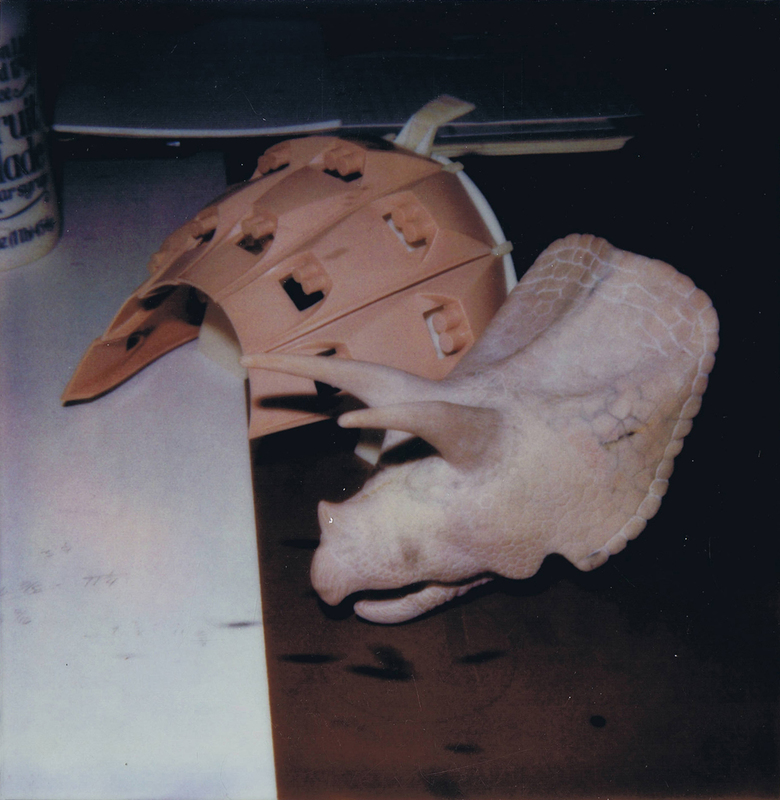 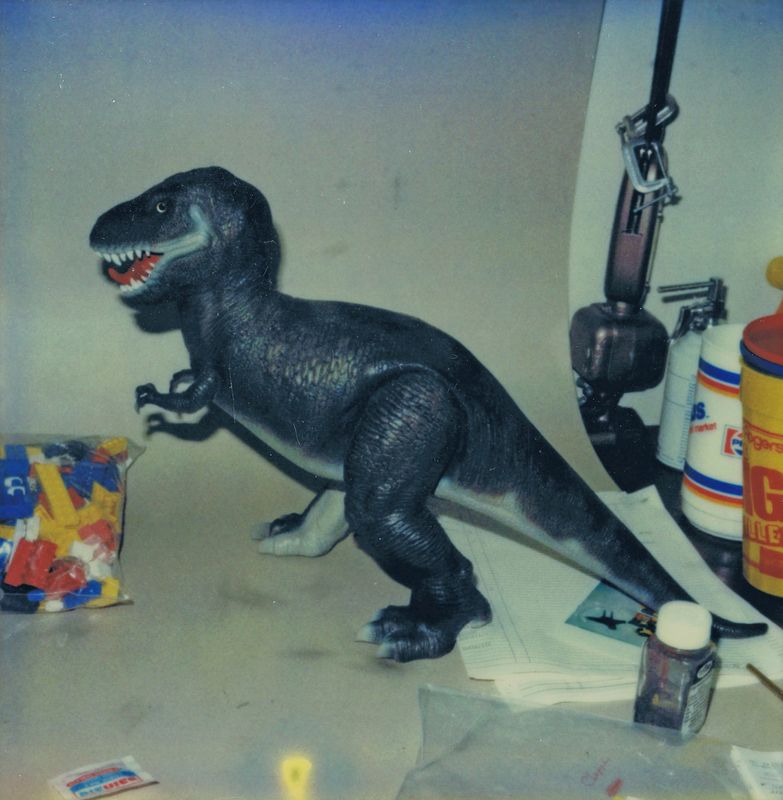 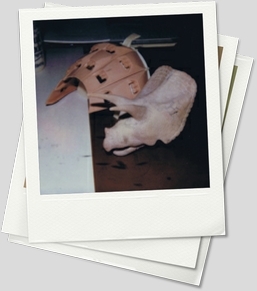 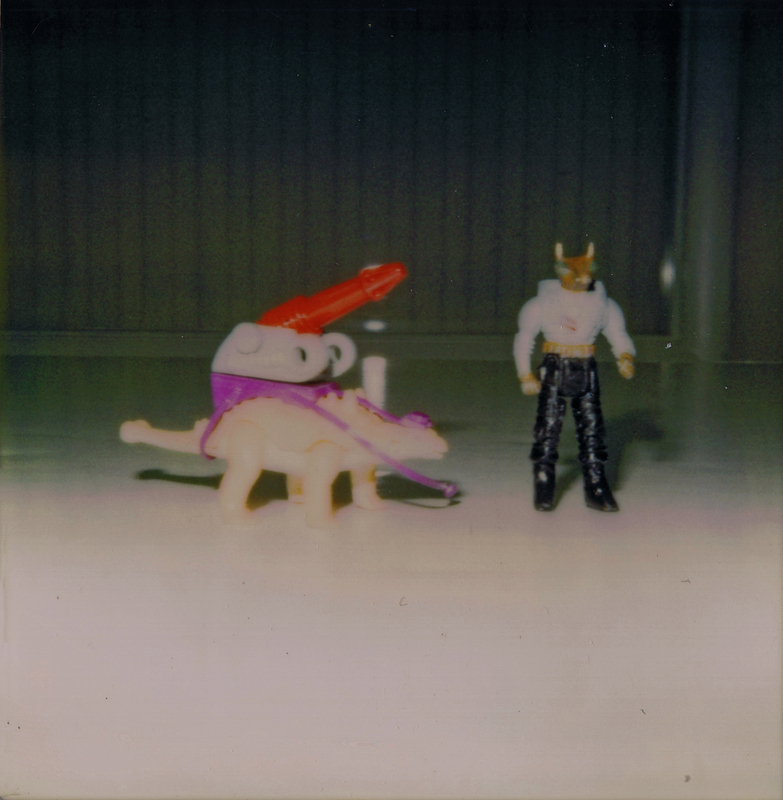 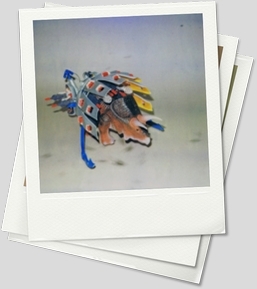 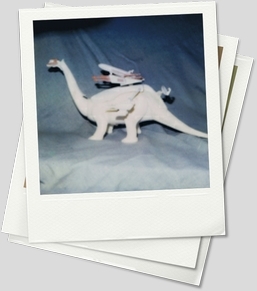 The following pictures are scans of original Polaroid photos of various Dino Riders prototypes taken by a former Tyco employee. 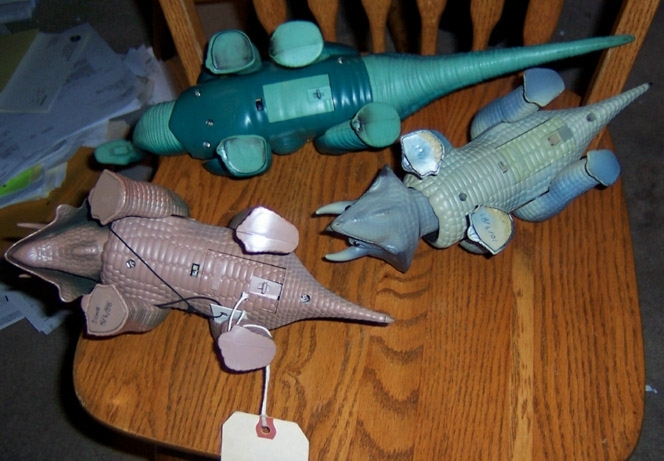 Many of these show very early versions of the toys and few people in the world have seen these until now. 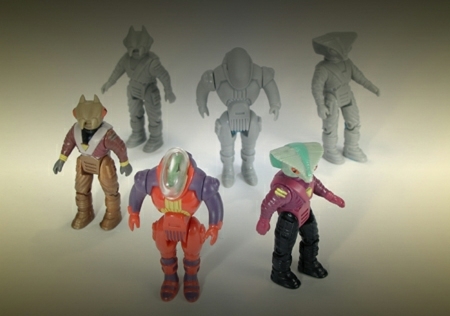 The following pictures are production shots from Product Dynamics. 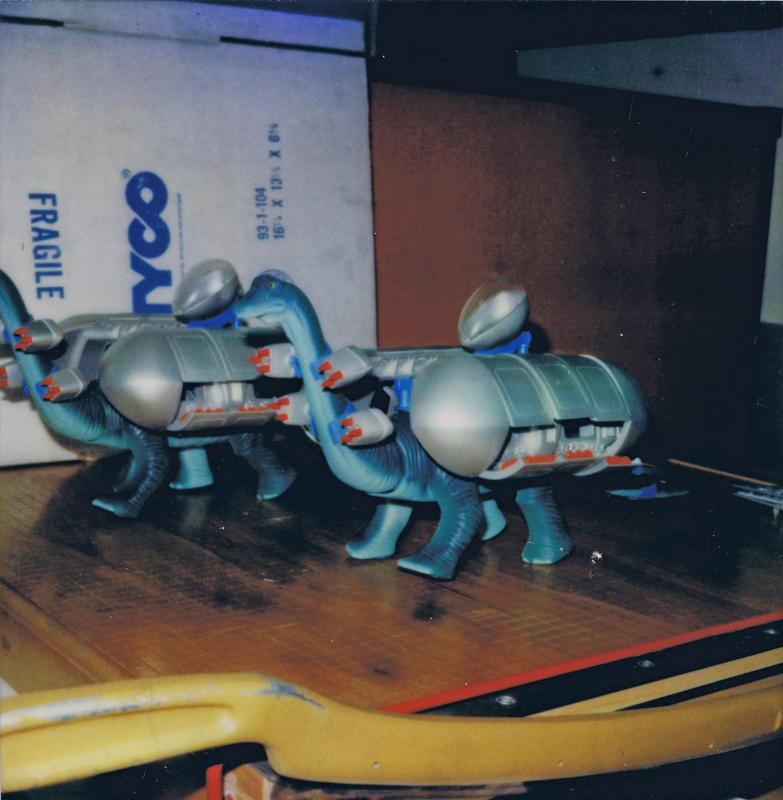 Product Dynamics is a leading product development company that specializes in the design and fabrication of precision prototype models. 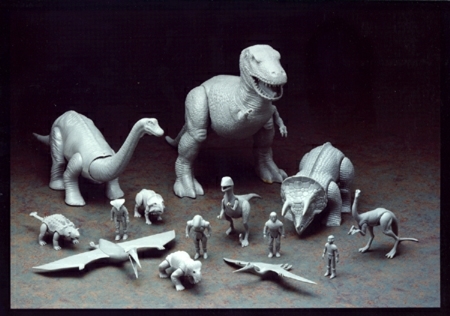 The company worked hand-in-hand with Tyco in creating the toys. 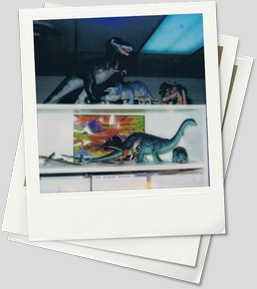 Visitors are encouraged to check out their website to see more of what they do as well as their top notch product portfolio. 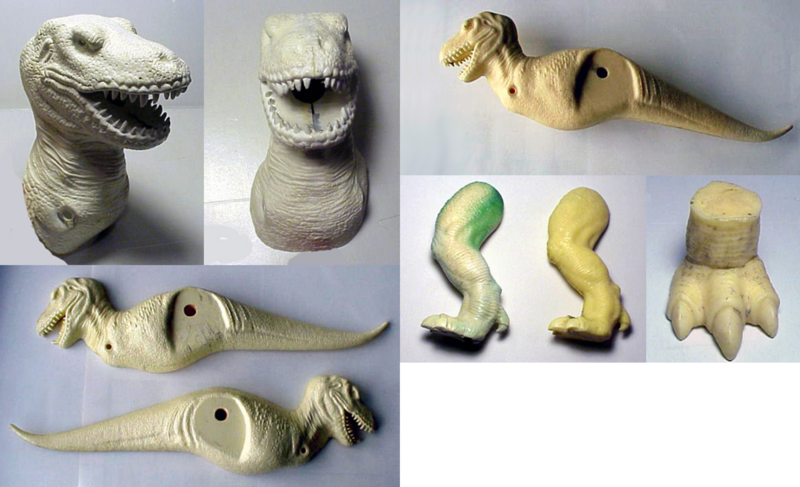 Here are pictures of some of the original molds used to make the actual toys that were sold on eBay. 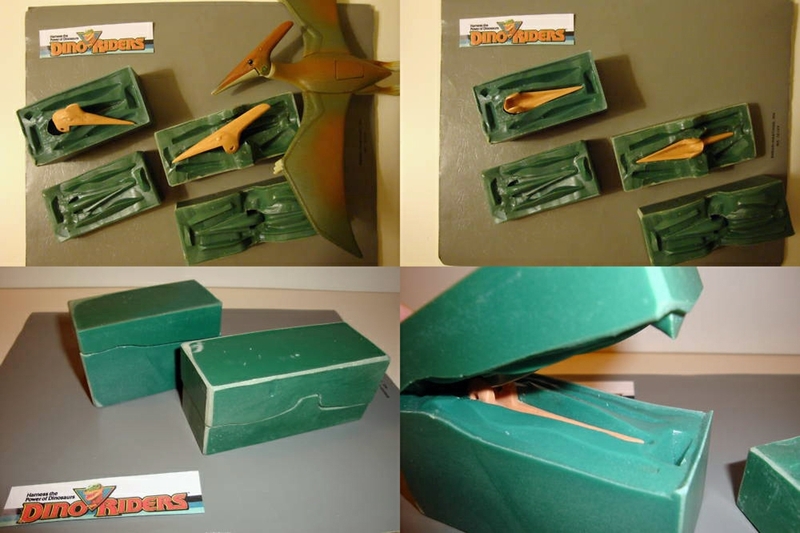 Here are pictures of �final approval� prototypes that were sold on E-Bay. 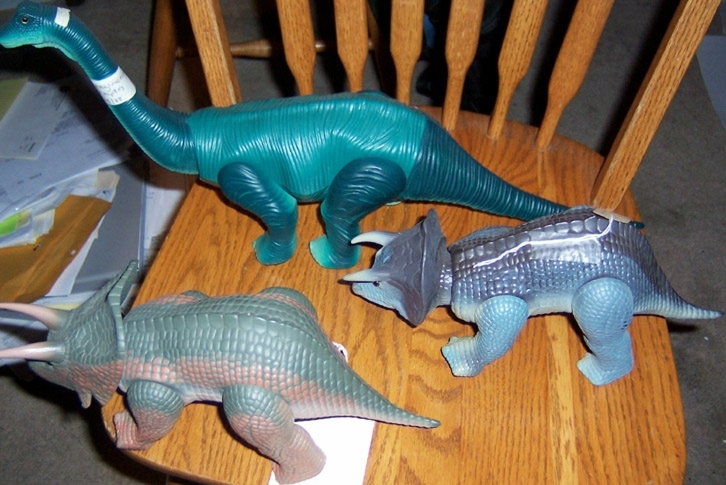 These are more or less identical to the production versions, except for the unpainted T. Rex and Edmontonia. 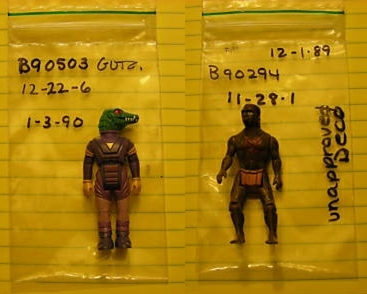 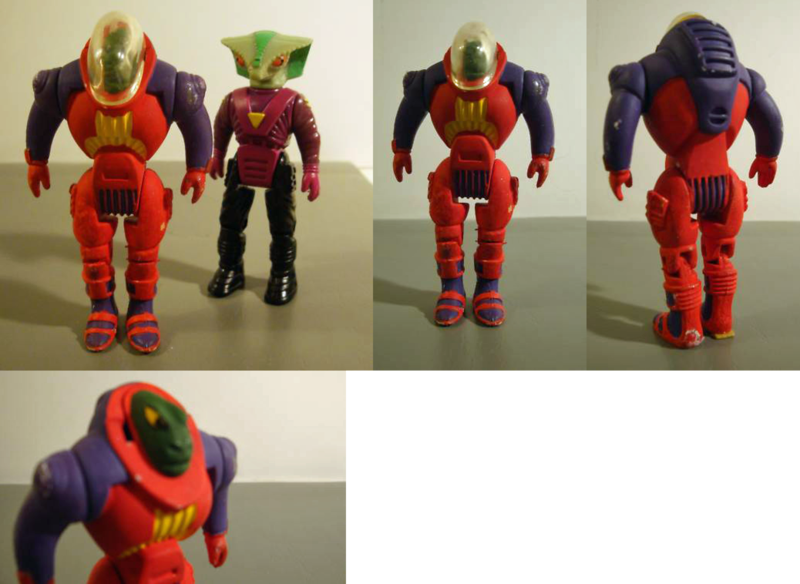 Here are two Rulon "test shot" figures that were sold on E-Bay. 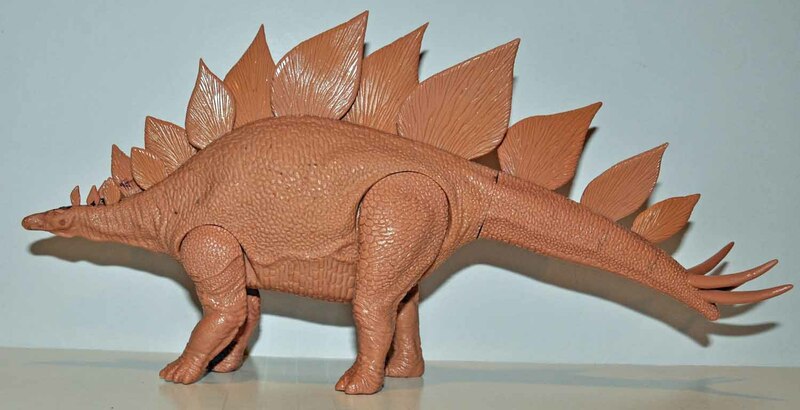 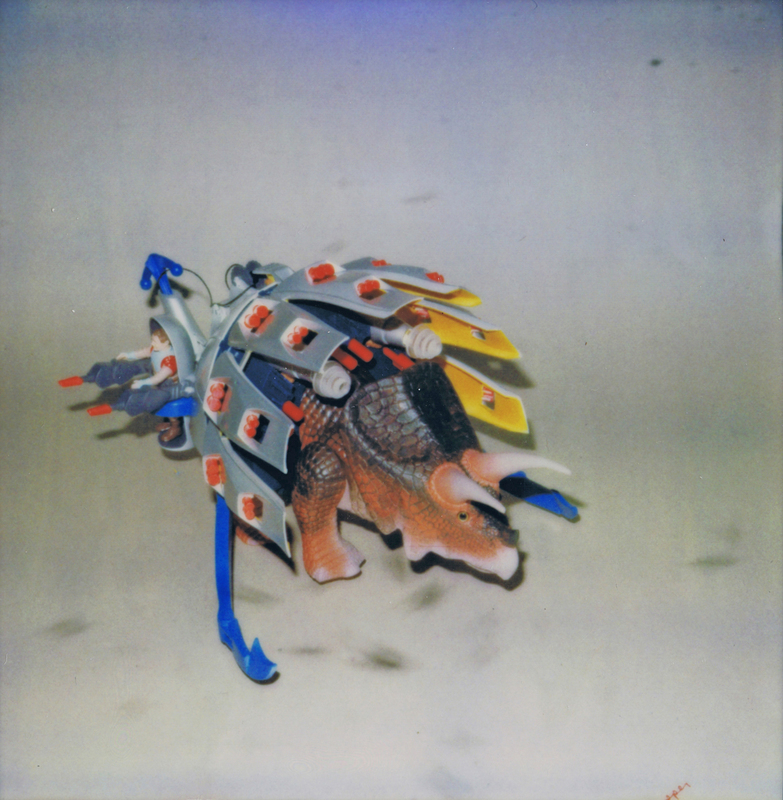 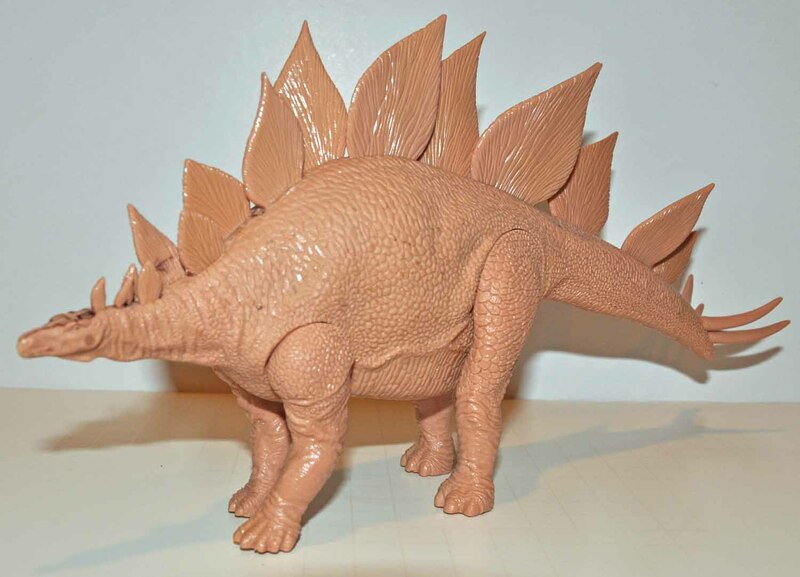 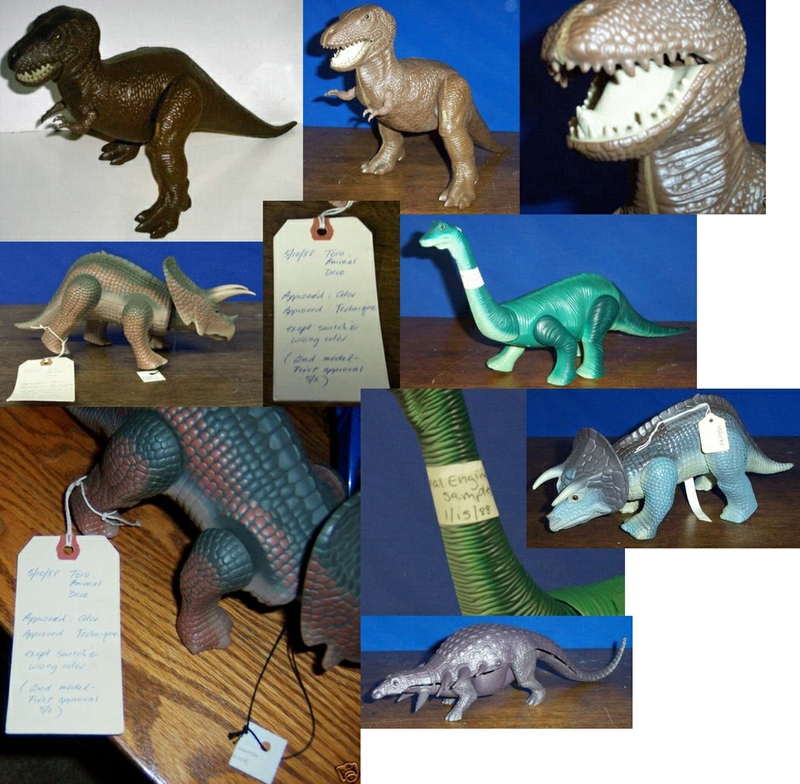 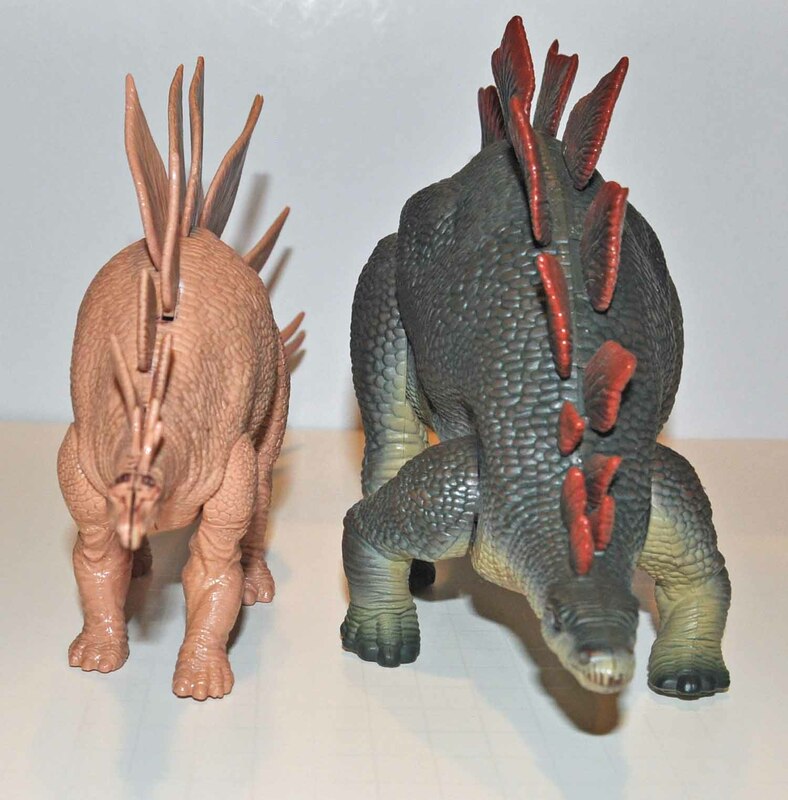 The following pictures are of a prototype Stegosaurus that was auctioned off in March 2013 by Hake�s Americana & Collectibles. 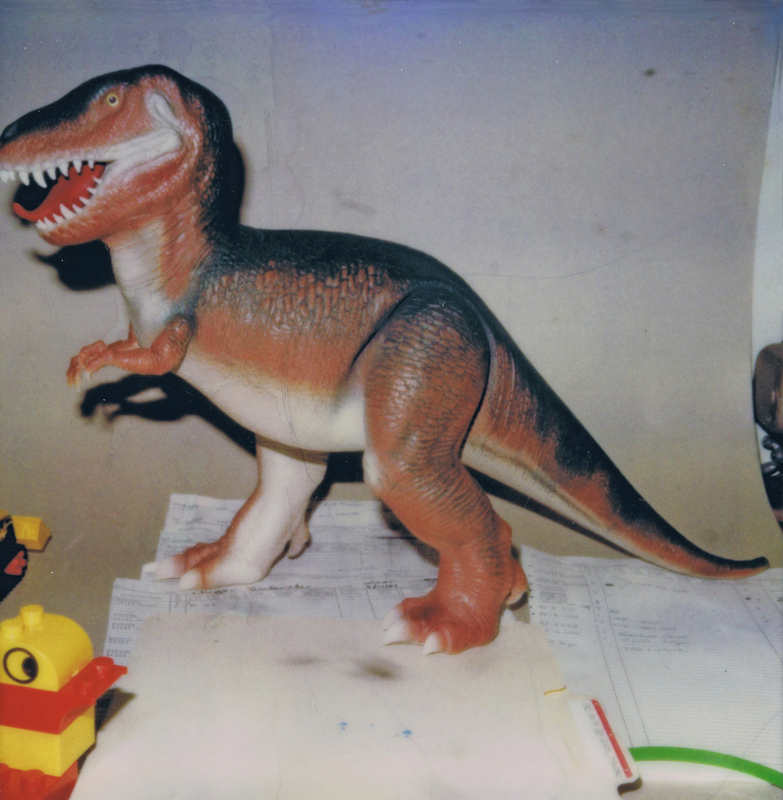 This is a rare piece that came from the personal collection of Lee Volpe, the Manager, Director and VP of New Product Development for Tyco from 1982 to 1994. 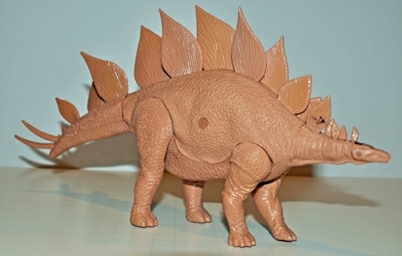 This piece is considerably smaller but more scientifically accurate than the production Stegosaurus. 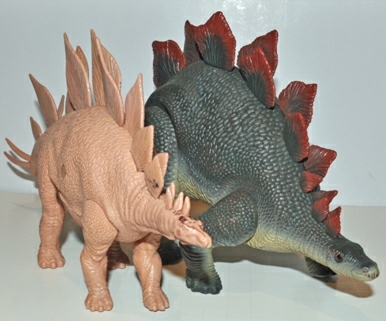 The prototype is more comparable in size to the Kentrosaurus. 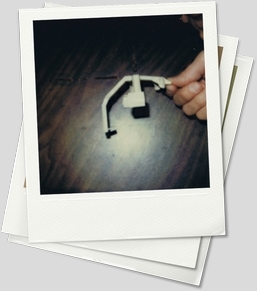 The prototype arrived unassembled and there are ink notations indicating where certain pieces go. 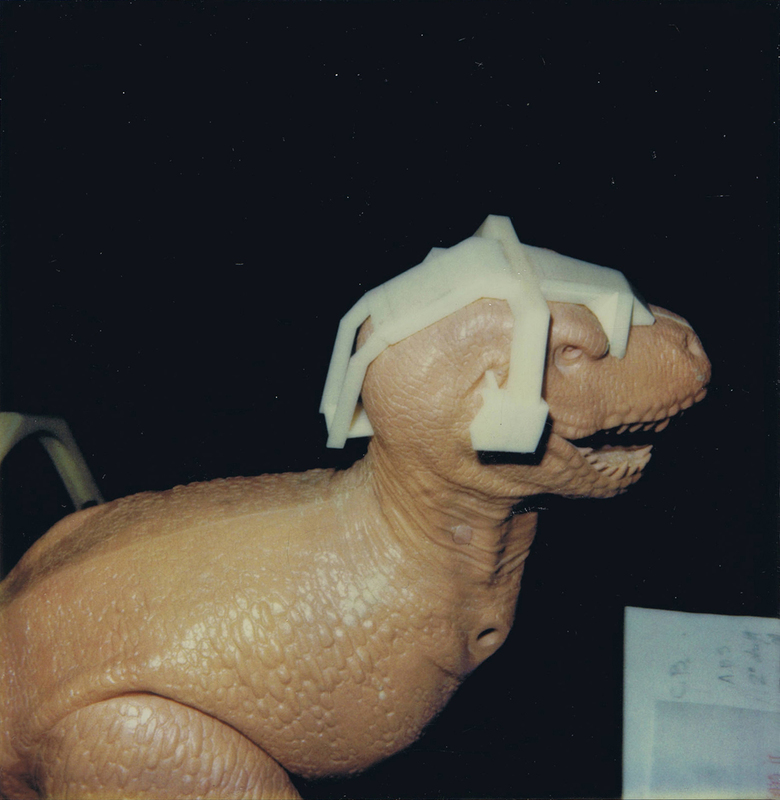 Interestingly, the head has ink notations on it for a brain box design, which indicates there was at one time a plan for an evil Rulon version of the Stegosaurus. 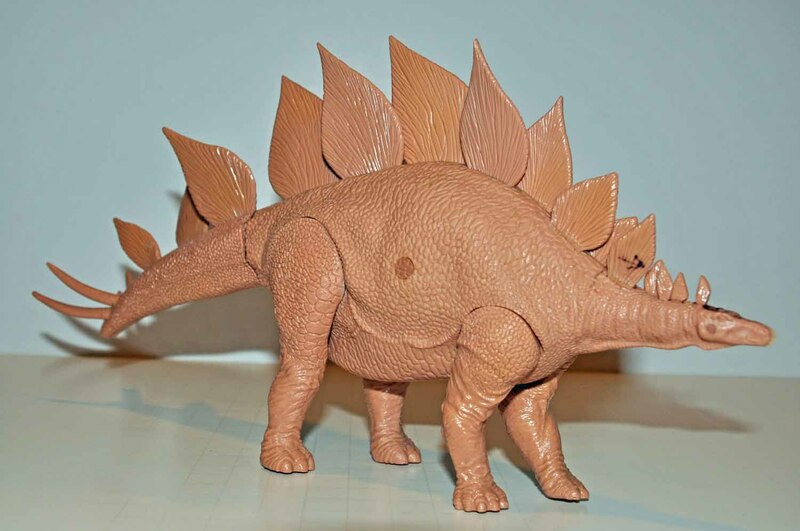 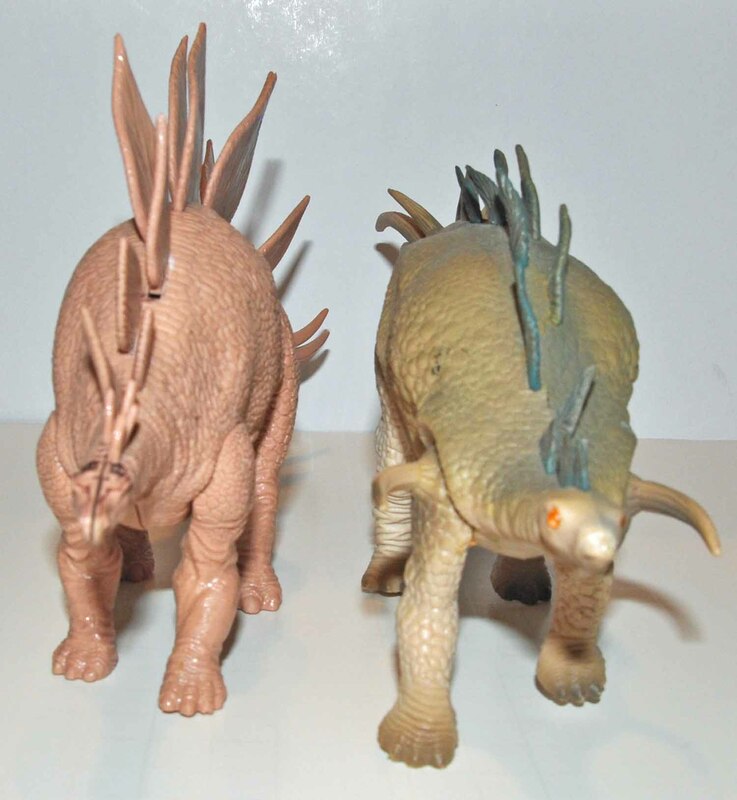 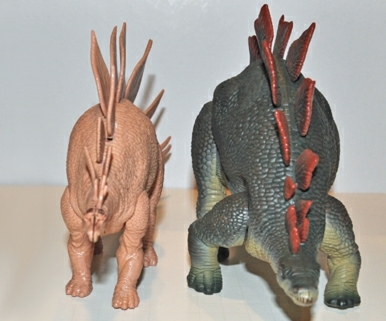 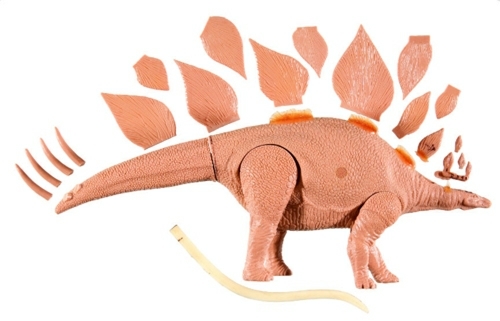 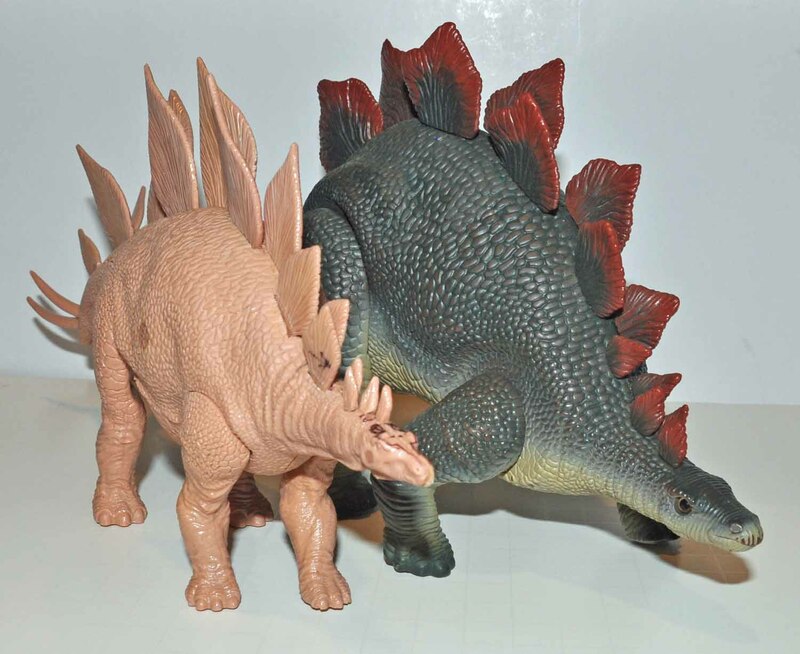 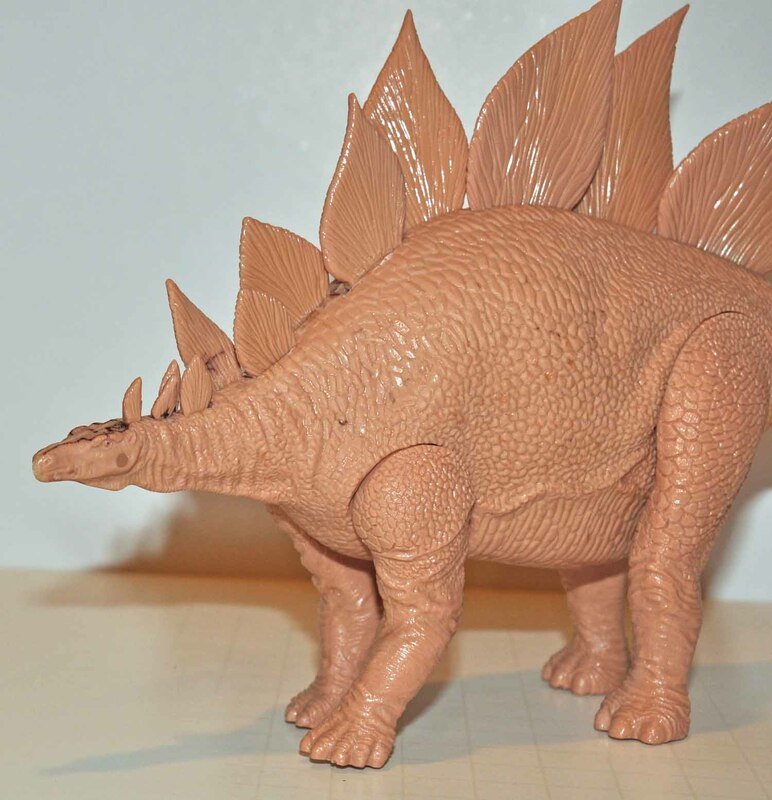 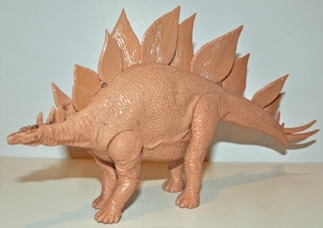 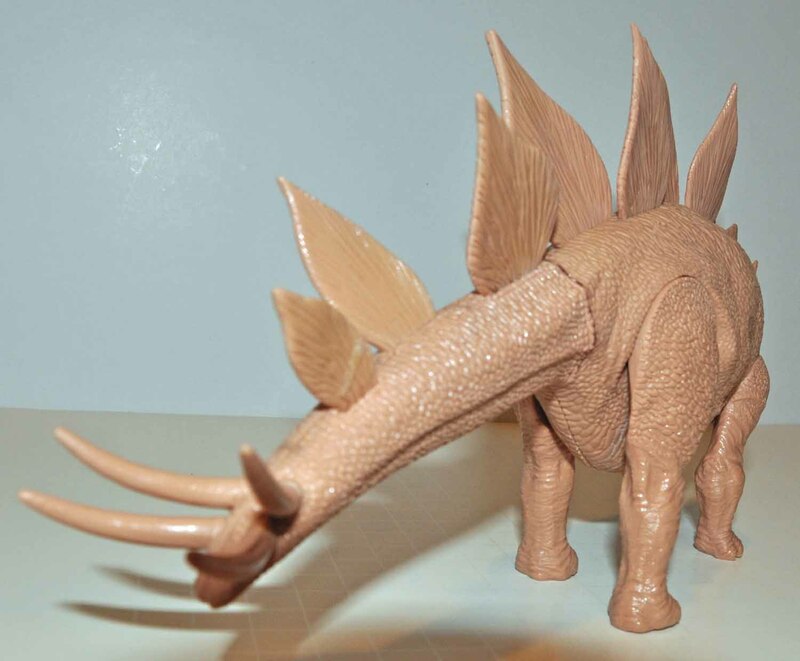 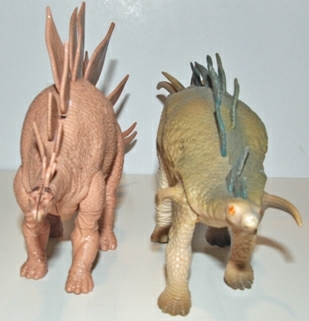 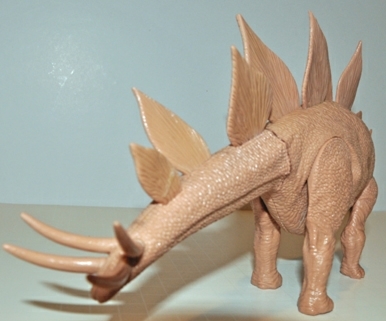 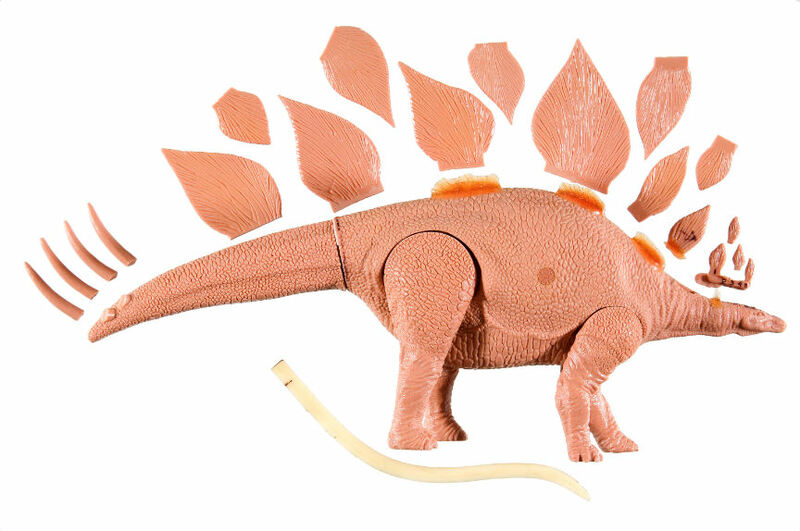 Comparison pictures against the production Stegosaurus and Kentrosauurs are included for reference.